Almost every sporting goods store, pro-shop or web page has an advertisement for therapeutic magnets with claims of pain relief and a better golf game. There are magnetic bracelets, necklaces, shoes inserts, mattress covers, head bands and, yes, dog collars. It certainly isn't new. But, is there any scientific evidence to support all of these claims? We can go back to 16th century Switzerland and find Greta who is beyond worried about her teenage son. She works the fields every day, keeping a watchful eye on her son as he digs at the stubborn ground just two rows to her right. Will he have another one of his "fits" today: falling to the ground, muscles tightened and mouth clenched shut? She had heard a rumor that the alchemist, Paracelsus, was taking the "magical" lodestone, a type of ore that could attract iron, and grinding it into a powder, placing it into a salve and applying it to the bodies of sick people with miraculous results. Would the lodestone pull out the poisons that possess her son? She was willing to try anything. Paracelsus' salves worked on a wide variety of maladies. It didn't matter to Greta that William Gilbert, physician to Queen Elizabeth I, had pointed out that grinding the lodestone destroyed its magnetic properties and therefore the "magical" properties. Fast forward to 1799 and Hans, a well-to-do German lawyer, is seeking help for his blinding headaches. The powders and potions serve only to make him vomit, sometimes giving relief, but still there are those times when he cannot work. He seeks the help of Dr. Franz Mesmer, an Austrian physician who is well-known for his use of hypnotism and psychoanalysis, from which the term "mesmerize" was coined. Mesmer opened a fashionable Magnetic Healing Salon in Paris where patients sit around in a circle and clutch magnetic rods protruding from a vat. Mesmer realizes that he can merely wave a magnetic rod over the afflicted person's head with the same result, and calls the effect "animal magnetism." After two treatments, Hans is free of headaches and sends his wealthy, influential friends and clients to Paris on a regular basis. King Louis XVI forms a commission to explore the validity of animal magnetism, reaching across the ocean to appoint Benjamin Franklin, the world's leading authority on electricity. Utilizing a double-blinded study, one in which some patients were exposed to the magnetic rod and others to just a plain metal rod, the commission proves that animal magnetism is no more than a placebo. But, it never mattered to Hans and his friends, for their headaches and assorted maladies were long gone. Magnets remained in the background until they appeared in an 1890s Sears catalog proclaiming foot inserts that cured sore feet. Are things starting to sound familiar? At the same time, Dr. Daniel Palmer opened his School of Magnetic Cure, but soon found that his patients improved without magnets by just utilizing a "laying on of the hands." 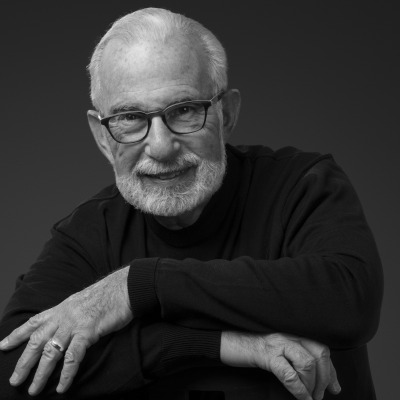 He created the Palmer School of Chiropractic Therapy. Dr. Albert Adams claimed that each organ was tuned to a particular electromagnetic wavelength, but this was one step too far and at the turn of the 20th century, the American Medical Association named him the "Dean of the 20th Century Charlatans!" That quieted things down for almost another 100 years. We are now back in a resurgence of using magnets and titanium accessories and devices to treat painful conditions. Who is right? Are all the new magnetic devices just a resurgence of the presumed quackery of the past or have we overlooked a valuable medical device that might give millions of people pain relief? Either way, it is a billion-dollar-a-year business and no one is waiting for science before they issue their claims, or before desperate people strap onto their bodies what might be glorified refrigerator magnets. 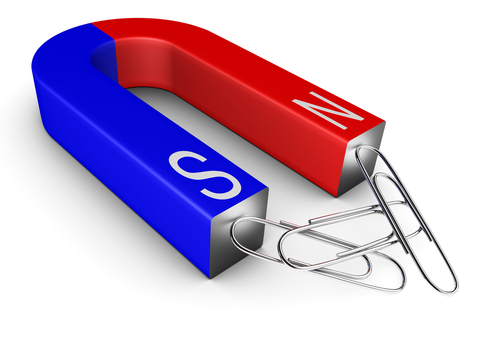 If magnets work, they must have some physiological effect on the human body. They must, in some way, influence the tissue, cells, fluid or blood over which they are applied. Advocates for magnetic therapy have proposed a number of ways in which the magnets work on our bodies. Blood Flow: Many ads and brochures claim that blood contains iron and that magnets increase blood flow under the area where they are applied and promote healing. Although blood does contain electrically charged ions, it is diamagnetic and strong magnets actually repel blood. Another problem is that the effect of surface magnets is too small to affect blood flow and overcome the pressure-driven turbulent flow of normal blood. As a simple experiment, place one of these therapeutic magnets in the palm of your hand. If blood flow actually increased, you would expect the skin around the magnet to pink up and become warm. It doesn't. Fluid and Swelling: Others claim that the magnets line up the water molecules in our bodies and, in this way, decrease swelling and promote healing. However, even large magnets like those used in an MRI scanner do not line up water molecules. A typical surface magnet is 800 Gauss; a Gauss unit representing one unit of magnetic field density. An MRI scan magnet generates 30,000-40,000 Gauss and yet has not been shown to have any biological effect on humans. If they did, they would have serious restrictions on their use. Nerve Conduction: Some manufacturers claim alterations in the way that our nerves and nerve cells conduct electricity. But, it takes a large 24 tesla magnet to decrease nerve conduction velocities by only 10 percent. The typical MRI scanner uses a 1-1.5 tesla magnet, where one tesla equals 10,000 Gauss. Is it all about money and a placebo effect or is the cynical, skeptical scientific community missing something? I have spoken to numerous patients and people I have met who stand by the benefits of magnetic therapy. The problem is that we have many clinical and anecdotal claims of a therapeutic benefit with little science to back them up. To date, everyone points to a few studies demonstrating a positive effect. One study was in the Archives of Physical Medicine and Rehabilitation in November 1997 by Dr. Carlos Vallbona of the Baylor University School of Medicine. Dr. Vallbona was skeptical of the effectiveness of magnets until he strapped one on his own painful knee with dramatic relief. Vallbona studied 50 post-polio patients with painful arthritic joints. He randomly gave active or inactive magnets to the patients to strap onto their painful trigger points for 45 minutes. After 45 minutes, 76 percent of the "active" magnet patients reported pain relief while only 19 percent of the "inactive" group reported less pain. He has no explanation for this phenomenon, but appropriately encourages further double-blinded research. The National Center for Complementary and Alternative Medicine, part of the National Institutes of Health published an excellent current review on "Magnets for Pain." After reviewing all of the scientific literature, including double-blinded studies, they conclude that the "majority of rigorous trials, however, have found no effect on pain." They do point out that there are many variables still to be studied such as the strength of the magnet, frequency of use, type of magnet and length of time it is used. It is so easy to be cynical when people are making millions of dollars with an unproven device. On the other hand, it is hard to ignore all the examples in history where sanctimonious experts were wrong. Who would have really believed that aspirin would be one of the mainline therapies to prevent heart disease and stroke? The poor physician from New Zealand was laughed out of many-a-meeting before it was commonly accepted that bacteria play an important role in peptic ulcer disease. Many-a-scientist has literally lost his head for being ahead of his time. We are faced with an entrepreneurial army loaded with vague and unsupported claims, pseudoscience and a mischaracterization of what we really do know as fact. On the other hand, there is always the chance that they may be right for all the wrong reasons. This is certainly nothing new for the field of medicine. First see a physician and find out why you have pain. You wouldn't want to treat a serious illness with a magnet. Don't use them if you are pregnant. We just don't know what they do. Don't use them if you are wearing a pacemaker or electrical implant like an insulin pump or brain stimulator. Don't wear them all the time. Everything in moderation. I must admit that is tempting to run out and buy one of the new titanium (non-magnetic) necklaces that all the baseball players are wearing. They seem to be the latest fad. My back and golf game could both use a little magic, but I think I will wait for a little science on the subject before I buy what may be little more than modern day snake oil. 1. Carter R, Aspy CB, Mold J. The effectiveness of magnet therapy for treatment of wrist pain attributed to carpal tunnel syndrome. Journal of Family Practice. 2002;51(1):38-40. 2. Collacott EA, Zimmerman JT, White DW, et al. Bipolar permanent magnets for the treatment of chronic low back pain: a pilot study. Journal of the American Medical Association. 2000;283(10):1322-1325. 4. Harlow T, Greaves C, White A, et al. Randomized controlled trial of magnetic bracelets for relieving pain in osteoarthritis of the hip and knee. British Medical Journal. 2004;329(7480):1450-1454. 5. Vallbona C, Hazelwood CF, Jurida G. Response of pain to static magnetic fields in post polio patients: a double-blind pilot study. Arch Phys Med Rehabil. 1998; 79:469-70. 6. Wolsko PM, Eisenberg DM, Simon LS, et al. Double-blind placebo-controlled trial of static magnets for the treatment of osteoarthritis of the knee: results of a pilot study. Alternative Therapies in Health and Medicine. 2004;10(2):36-43.